Wacky Packages Series 7 Price Increase Coming Soon! This August Topps will be releasing its Wacky Packages Series 7 trading card set. With orders due soon, we are asking customers to get their pre-orders in as soon as possible so that they don't miss out! The Wacky Packages Series 7 base set includes 75 all-new stickers. Each pack includes a code card that unlocks web-exclusive content on the new Wacky Pack World website. Boxes are currently available for $41. Cases (8 boxes) are available for $309. On Tuesday, June 1st, our prices will increase to $43 per box and $324 per case! Click here to order now and save! Pre-Selling Marvel Heroes & Villains! 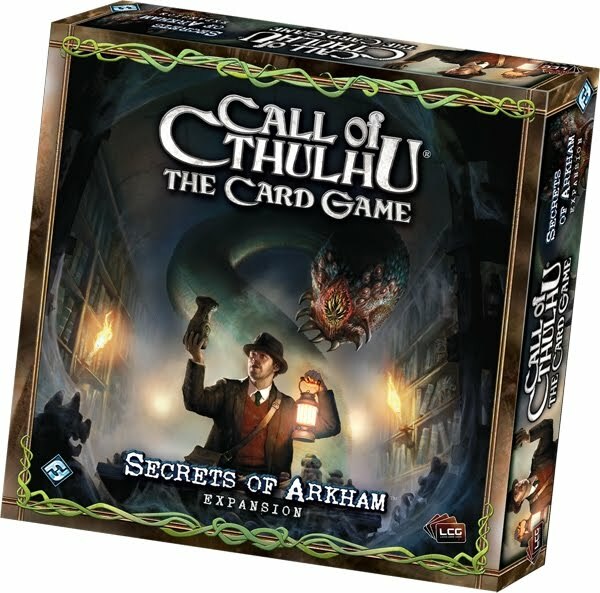 Cthulhu Secrets of Arkham In Stock! L5R Plague War Coming Soon! 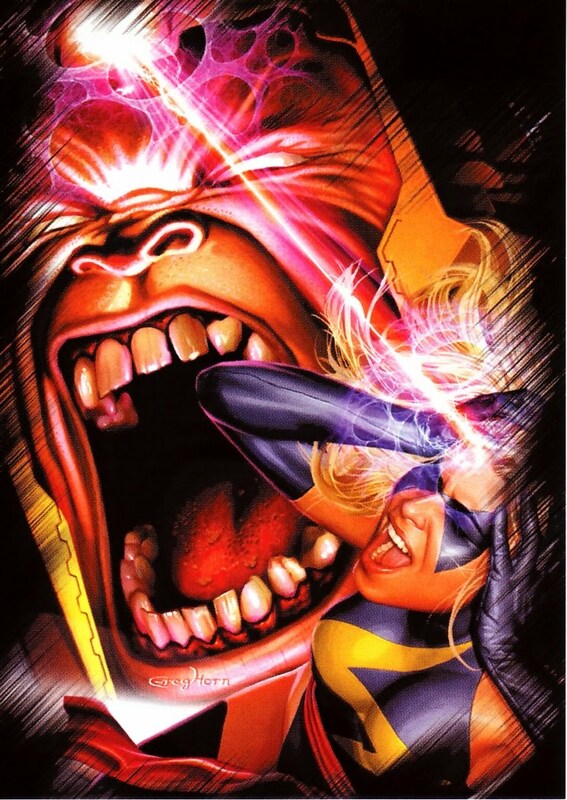 Rittenhouse Archives has just announced plans to release its Marvel Heroes & Villains trading card set on October 20th! Every box will include a hand-drawn, two-character, color sketch card. Randomly inserted sketch card puzzles inserted into "hot boxes"
18-Case Incentive: Marvel Heroes & Villains Archive Box (including 30 random sketch cards)! We are pre-selling Marvel Heroes & Villains boxes for $61. Cases (12 boxes) are just $709. Binder cases (4 binders) are $82. Click here to place your order! 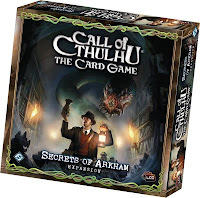 The newest addition to the Call of Cthulhu Living Card Game, Secrets of Arkham has arrived! The Secrets of Arkham Expansion is a 110-card set. There are 100 cards (2 copies of 50 different cards) that include 6 unique cards for each faction and 8 neutral cards. Among these are Azathoth, Professor Armitage, the Necronomicon, new cards, and old favorites. There is also a 10-card story deck included that can be used in place of the story deck found in the Call of Cthulhu Core Set. With this set, new tribal synergy deck options are opened up through additional support for the Deep One, Mi-Go, and other subtypes, as well as the Day and Night mechanic. The set also introduces neutral cards like Diseased Sewer Rats and Feint that are indispensable in the new metagame. Click here to place an order for Secrets of Arkham. 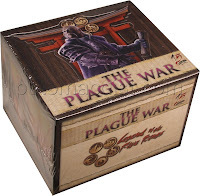 The Plague War is coming soon! It's not too late to place your pre-order for the newest Legend of the Five Rings expansion if you haven't already. Pre-Selling Yu-Gi-Oh Hidden Arsenal 2! 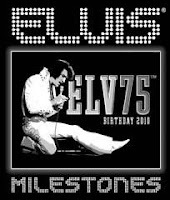 Elvis Milestones On Sale! We've just begun taking pre-orders for Yu-Gi-Oh Hidden Arsenal Series 2 Boosters! The new set is scheduled to arrive in July. The all-new, all-foil set includes 60 monsters from 9 different deck types! There are 20 Secret Rare cards and 40 Super Rare cards in the set. Players can look forward to the first Naturia monsters, including the powerful Naturia Beast Synchro Monster which can cancel your opponent's Spell cards. Also included are Dewloren, Tiger King of the Ice Barrier (who leads a powerful new pack from the polar reaches, new Allies of Justice (including Ally of Justice Field Marshall), the brand new Jurrac, and Fabled monsters! Each pack includes 1 Secret Rare and 4 Super Rare cards. Boxes are available for $59 each. Cases (12 boxes) are $679. Click here to place your order today! Press Pass has announced plans to release its Elvis Milestones trading card set in August. Boxes are on sale for $39. Cases (20 boxes) are $729. Click here to place your pre-order. 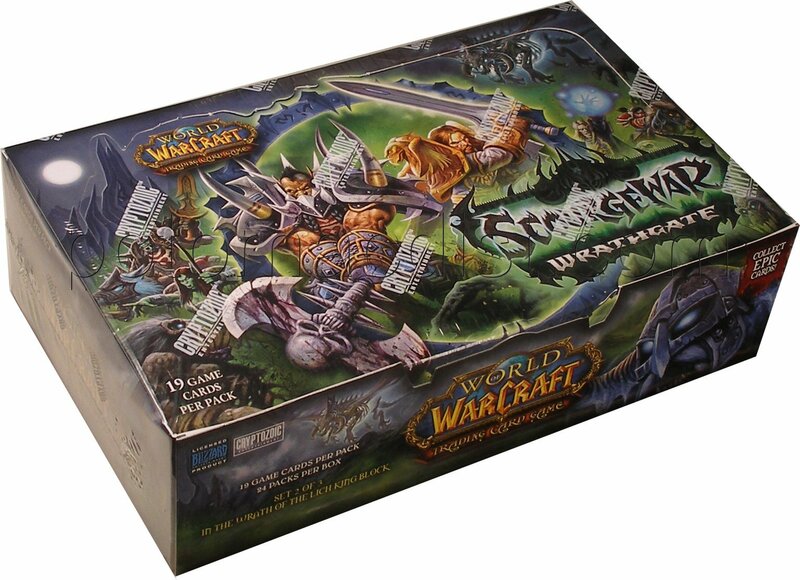 World of Warcraft Wrathgate Shipping Today! The new World of Warcraft expansion, Wrathgate, has arrived! We are shipping out all pre-orders today. There are 3 new loot cards in Wrathgate, including the Flaming Hippogryph mount (rare), a Statue Generator (uncommon), and Landro's Gift Box (super common). Cryptozoic notes on the box that the stated odds reflect an average of the entire production run and no ratio is guaranteed to exist within an individual box. Wrathgate booster boxes are available for $62 each. Cases (12 boxes) are just $729. Click here to order now. The Quotable Star Trek Movies Price Increase Coming Soon! The Quotable Star Trek Movies trading card set from Rittenhouse Archives is scheduled to arrive on June 23rd! Place your order now to receive our lowest prices. We will be raising our prices on Tuesday, May 25th. Every Quotable Star Trek Movies box includes 3 Autograph cards from a star-studded lineup that includes Kim Cattrall, Brent Spiner, LeVar Burton, Gates McFadden, Michael Dorn, Jonathan Frakes, Alan Ruck, John Larroquette, Kurtwood Smith, and more! Don't forget that case incentives are included for free with all 3, 6, and 15-case pre-orders! Also remember that we only need a 10% deposit when you place your pre-order. The remaining 90% isn't due until the release date! Click here to order now and save! Pre-Selling Heroes Archives Trading Cards! Rittenhouse Archives' 72-card Heroes Archives set is on sale now! We just received the details on this set which is scheduled to arrive on August 18th. Every Heroes Archives box will include 4 Autograph cards and 1 Relic card. We are pre-selling Heroes Archives boxes for $61, cases (12 boxes) for $709, and binder cases (4 binders) for $82. KMC Restock Arrives! WoW Wrathgate Shipping Next Week! We just received a large restock of KMC Deck Protectors. We now have the Perfect Size sleeves back in stock. 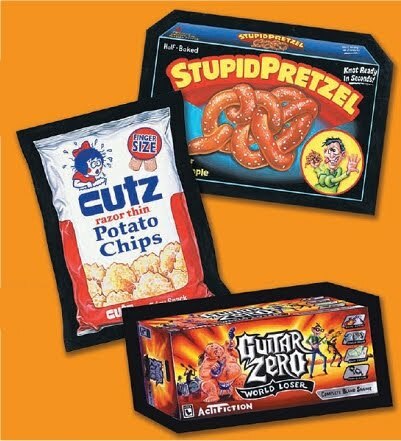 They are available in 10-pack lots (1,000 sleeves) for $30 or by the case (3,000 sleeves) for just $84. 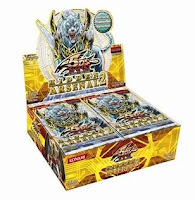 Also, back in stock are KMC Yu-Gi-Oh sized White, Gold, Silver, Metallic Red, Metallic Blue. 10-Pack lots of each are available for $30 and cases are $84. The new World of Warcraft expansion, Wrathgate is shipping next week! It isn't too late to place your order if you haven't yet. Booster boxes are $62 each and 12-box booster cases are $729. 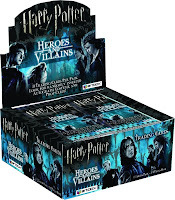 Harry Potter Heroes and Villains On Sale! Arbox Entertainment has just announced its plans to release a new Harry Potter trading card set next month. Harry Potter: Heroes and Villains is expected to arrive on June 30th. In addition to the base set, customers can look for Costume cards, Prop card, and Toby Jones (Dobby) Autograph cards. 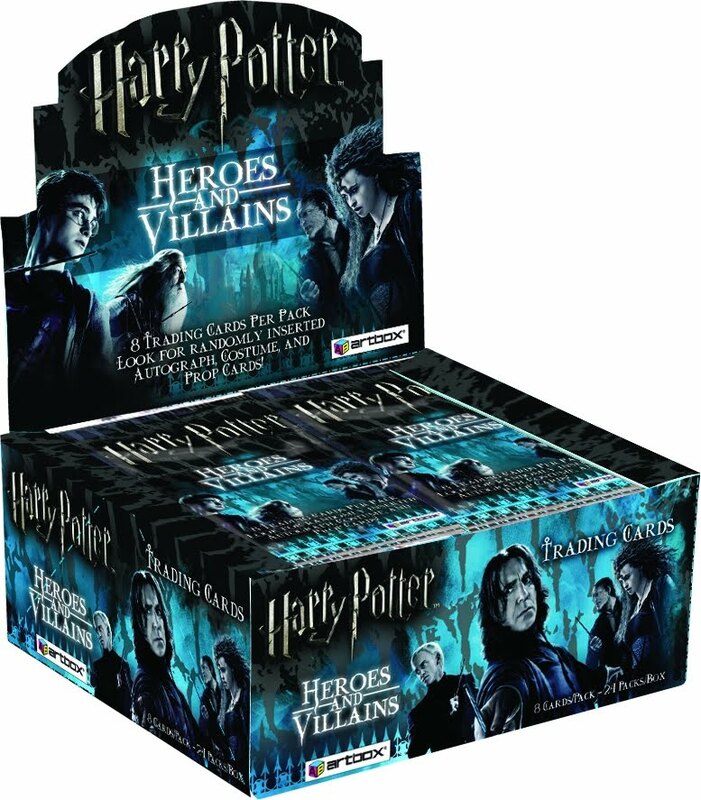 We are pre-selling Harry Potter Heroes and Villains boxes for $55. Cases (containing 10 boxes) are just $539! 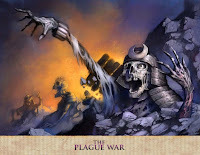 L5R Plague War Price Increase Coming Soon! 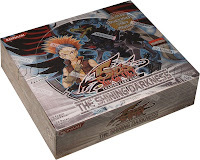 Yu-Gi-Oh Shining Darkness In Stock! 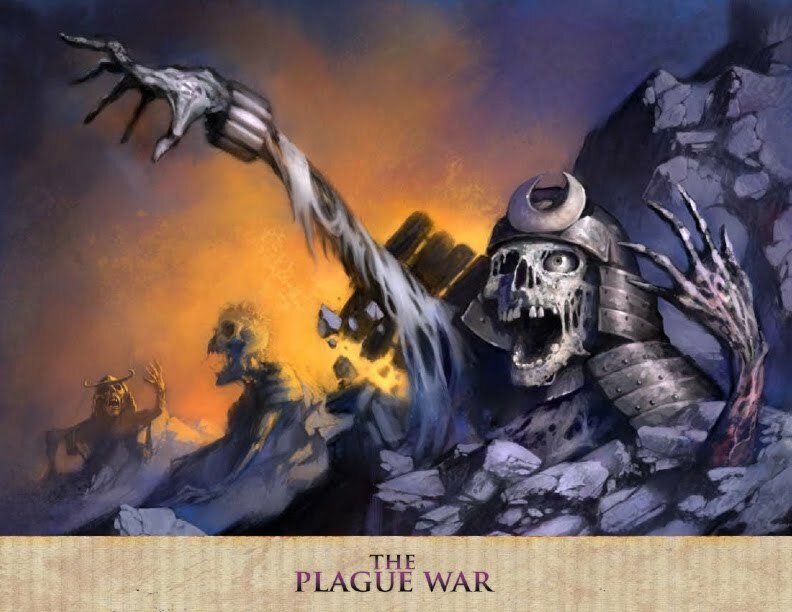 The next Legend of the Five Rings expansion, The Plague War, is scheduled to release on May 31st! If you haven't already placed your pre-order, make sure you do so by Thursday, May 13th. Our prices are going up on Friday, the 14th! 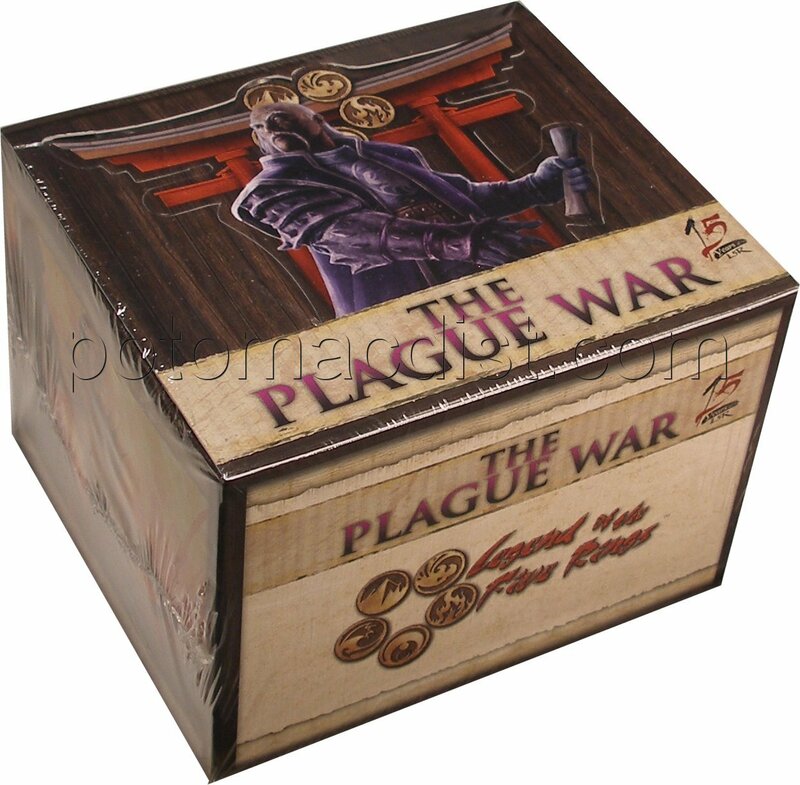 Right now you can order Plague War booster boxes for $99, 10-box booster cases for $960, starter boxes for $48, and starter sets (3 decks) for $33. On Friday, we will be raising our prices to $101 for booster boxes, $970 for booster cases, $49 for starter boxes, and $34 for starter sets. AEG has sold out of several recent L5R products, so make sure you don't miss out on this one! The new Yu-Gi-Oh expansion, Shining Darkness is here! There has been an enormous amount of buzz surrounding this new set, and we have 1st Edition booster boxes in stock and ready to ship today for $66. With The Shining Darkness set, players have an opportunity to find Secret Rares 30% more often than previously. The set features 9 Blackwing-themed cards, and the new Infernity Deck theme. 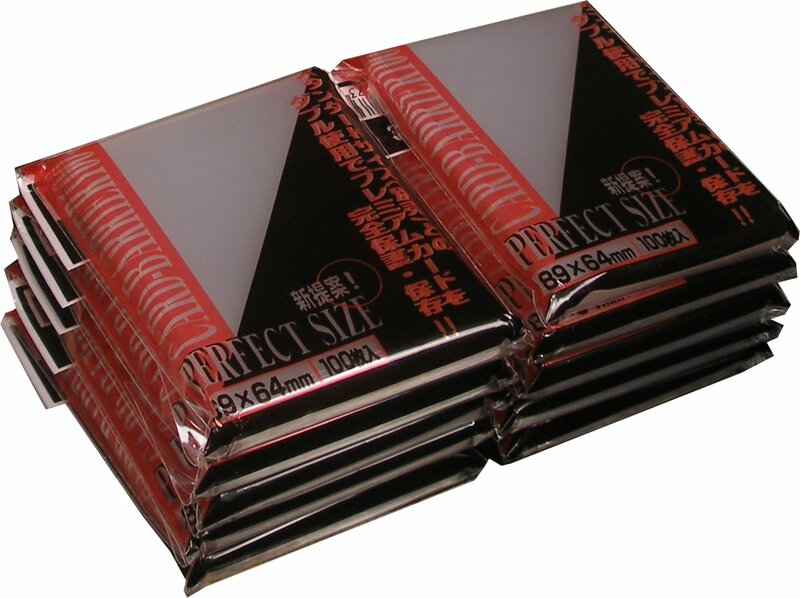 Check out our complete list of in-stock Yu-Gi-Oh products as well. We've got more than 60 different Yu-Gi-Oh items in stock right now, including boosters, structure decks, tins, turbo packs, foreign language boxes, and more! Lost Archives Signers Announced! 2010 Topps WWE Cards On Sale! Yu-Gi-Oh Shining Darkness & Pokemon Unleashed Shipping Next Week! 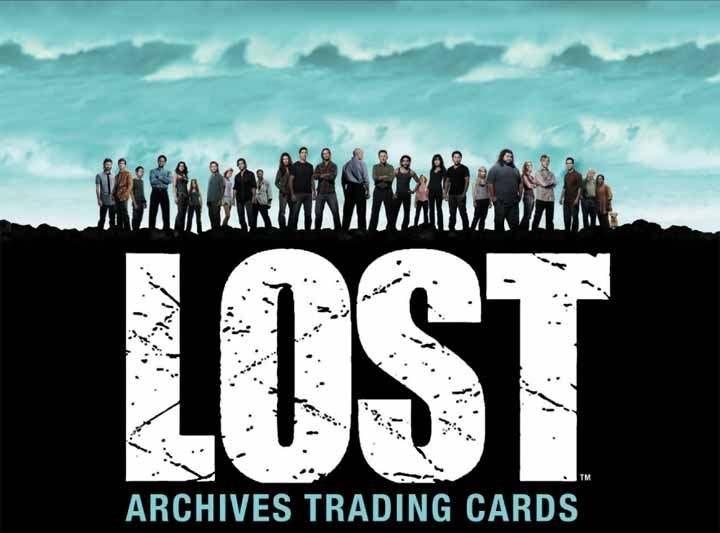 Rittenhouse Archives has announced a partial list of autograph signers for its upcoming Lost Archives trading card set. More stars and guest stars will be announced soon. We are selling boxes for $61, 12-box cases for $709, and binder cases (4 binders) for $82. Lost Archives is expected to arrive on July 21st! Yesterday we began taking pre-orders on Topps' upcoming 2010 WWE Wrestling card set. Every hobby box will include 1 autograph AND 1 relic card! This set is absolutely loaded with inserts. They include single autograph cards, double autograph cards, autograph/swatch cards, 3 types of relic cards, Championship Material cards, World Championship Material cards, Toppstown.com cards, History Of cards, When They Were Young cards, Favorite Finishers cards and National Heroes cards. There are 110 superstars, divas, tag teams, and legends in the base set. Every card in the base set is also paralleled with a Red 1/1 card, a hobby exclusive 1/1 Printing Plate, a Gold version (numbered to 50), and a Blue version numbered to 2010. You can pre-order boxes for $41 or cases (8 boxes) for just $309. The set is expected to ship on August 21st! Next week will be a busy one! Yu-Gi-Oh Shining Darkness and Pokemon Unleashed will be arriving! 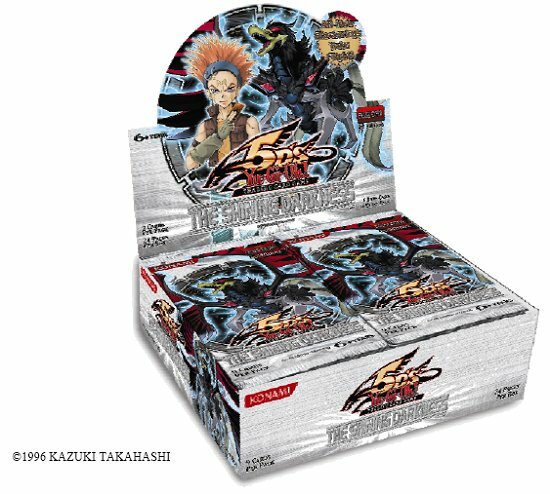 We have a limited number of Shining Darkness booster boxes available to ship by the set's Tuesday release date. Boxes are $66 and cases (12 boxes) are $768. The buzz around this set is big and it is selling faster than any we've seen in some time. Don't miss out on this one! 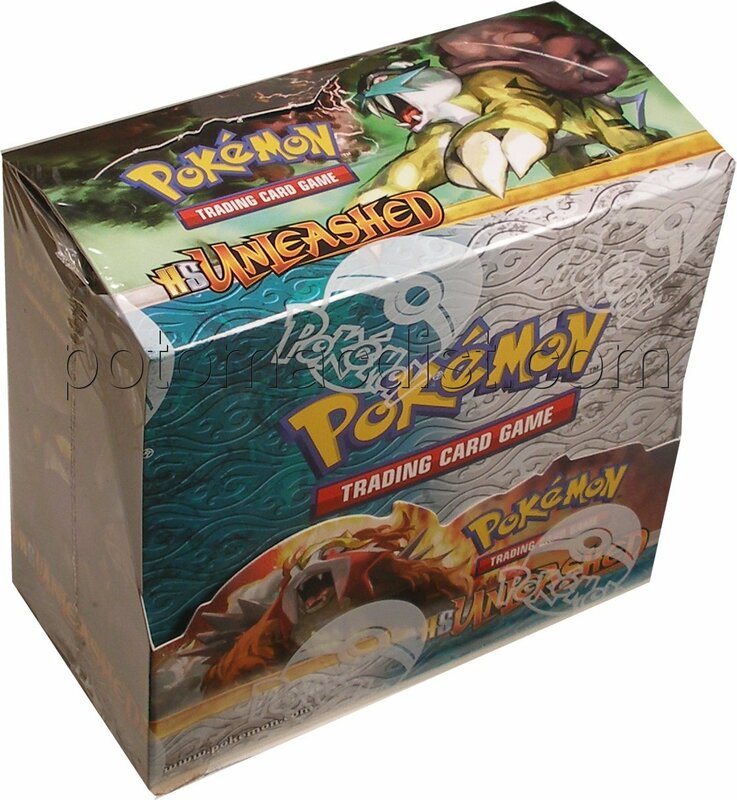 Pokemon Unleashed boosters are $87 per box and $512 per 6-box case. Starters are $65.